A fully ‘responsive’ website that’s tablet, smartphone and PC compatible is an expectation these days. In order for your website to rank, Google now takes into consideration the compatibility of a website with tablets and smartphones. We can design your website so it works across all platforms. 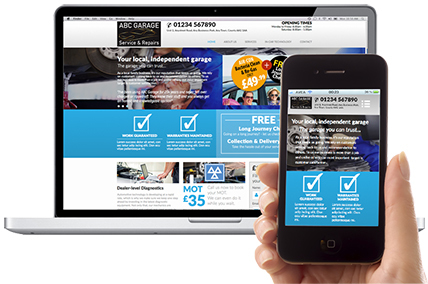 Whether you require just a few pages or a fully optimised mega-site, we provide cost-effective solutions.